04. 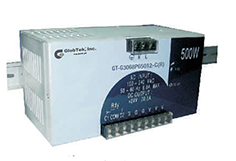 Each output can provide up to maximum load, but total load can not exceed rated output power. 05. Line regulation is measured from low line to high line at rated load. 07. Ripple & Noise are measured with 20MHz oscilloscope at 220VAC by using a 20cm long 12” twisted pair-wire with a 0.1uF/630V metal capacitor & a 47uF electrolytic capacitor parallel on the test point. 08. Efficiency is measured at rated load and 220VAC input. 09. Hold-up time is measured at rated load and 220VAC input. 10. Output Voltage Adjustable is measured on 5% of rated load. 12. Power Factor: 95% Min.